Smooth white sandy beach that feels like a Waikiki Beach resort! Nagoya Municipal Leisure Park. It is also known as Waikiki Beach in Nagoya because it was made with the South Seas Resort imagery in mind. 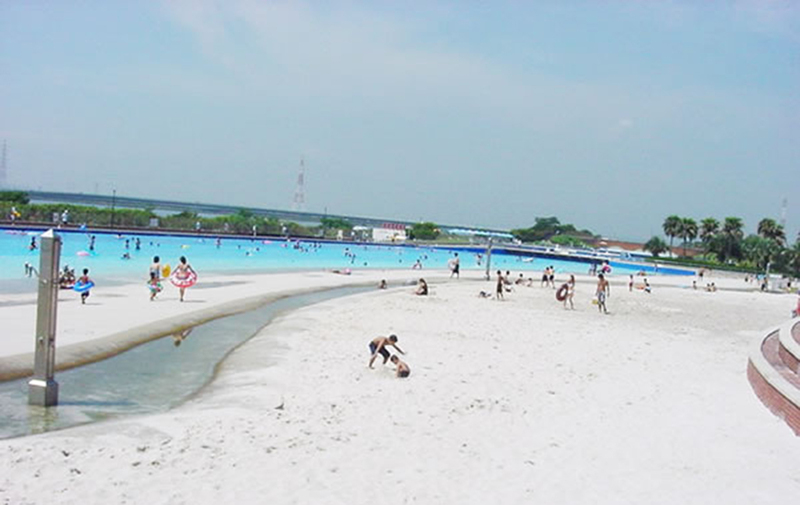 It is characterized by a large, beautiful white artificial sandy beach, a landscape of tropical moods, a lawn square surrounded by red flower-blooming Digo trees and Hibiscus flowers. 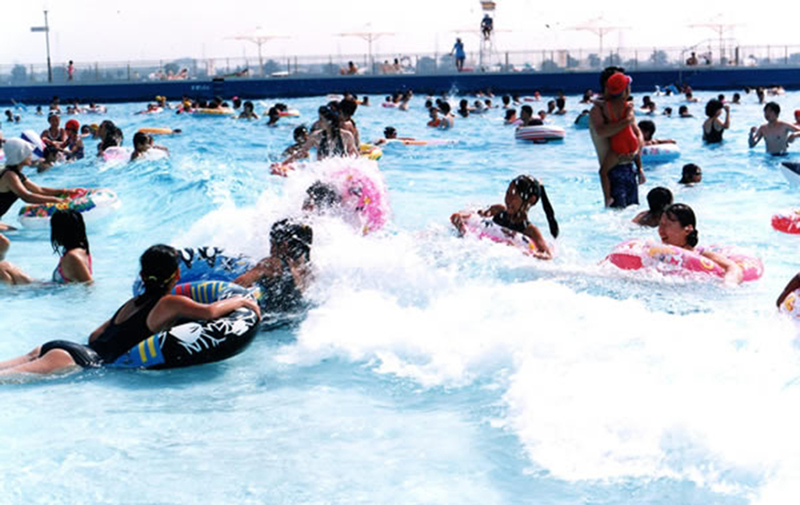 There are 3 pools: The beach pool, wave pool and a children’s pool. 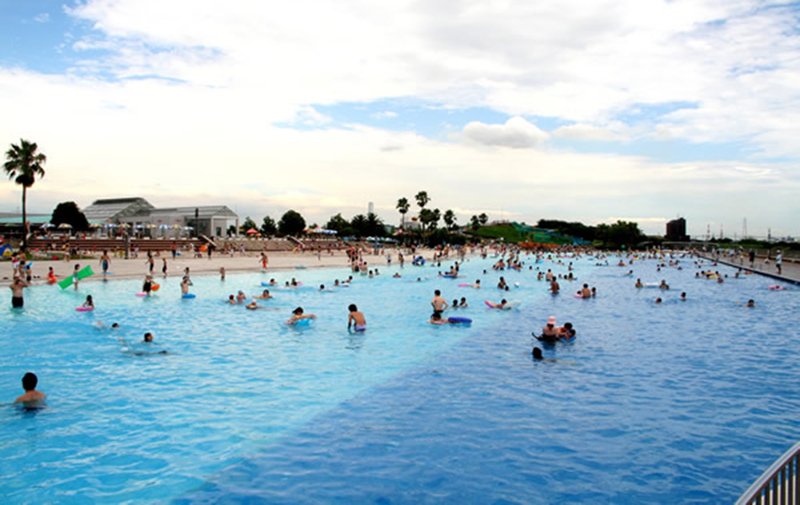 It is the largest domestic pool using fresh water! In the restaurant you can enjoy local foods such as a Nagoya specialty, kishi noodles, doterice bowl, miso katsu rice bowl, miso-skewered katsu, etc. It is perfect for enjoying with friends, partners, or family! Those with tattoos are expected to cooperate by covering up with swimwear or t-shirts, taping, etc. There are about 15-20 waves every 30 minutes. 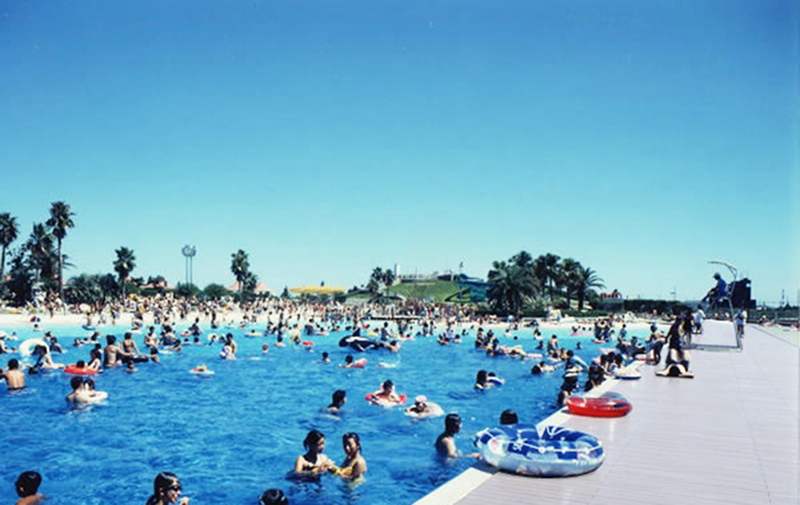 A general pool. No waves so guests can swim peacefully. 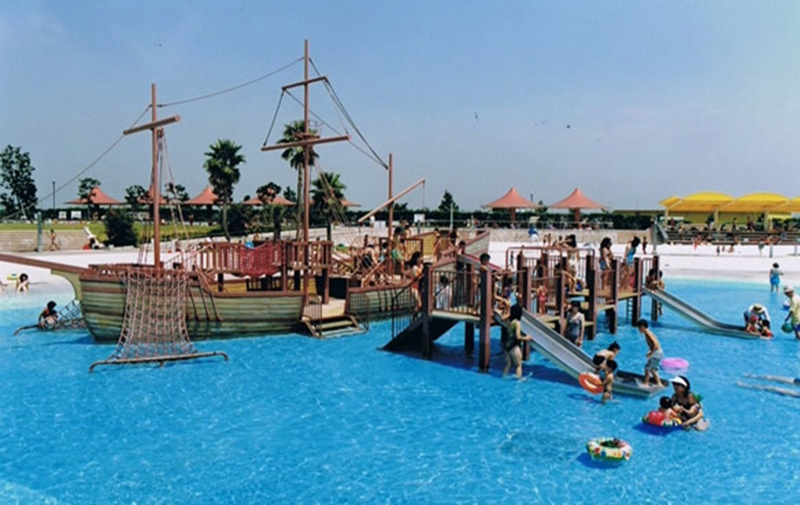 A shallow swimming pool for infants with a pirate ship in the center. 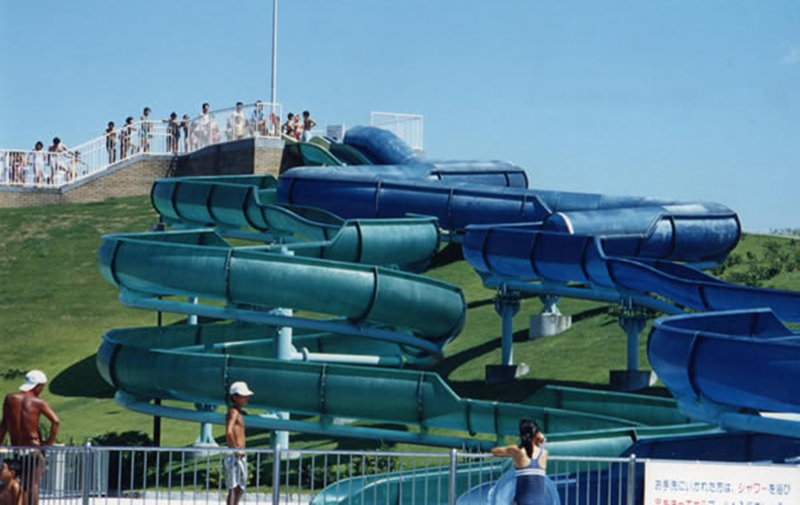 A tunnel slide, mountain stream slide with rubber boat, 3 slides total.